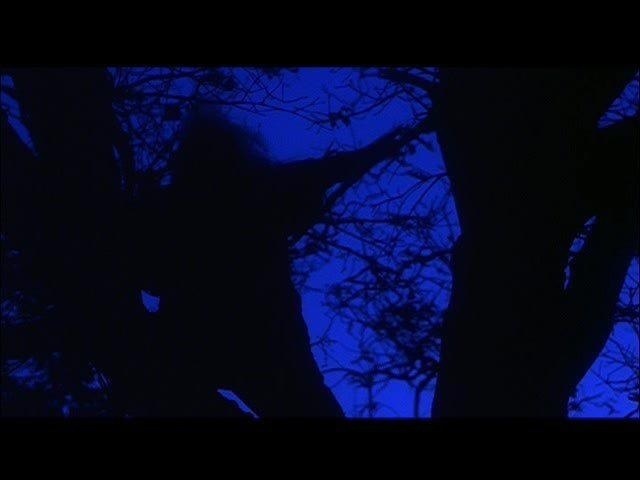 Tagline- Deep in the Woods Lurks a Hideous Evil… Don’t Even Whisper His Name! Released in 1982 Madman came out at a time when the slasher film was at its peak, but even by 1982 these movies were starting to get a bit stale. After the success of John Carpenter’s Halloween in 1978 the slasher film was born. Even if Halloween wasn’t the first one it was the first to make a lot of money and by 1980 the slasher craze started and with the success of Friday the 13th it proved Halloween wasn’t a fluke and there was a market for these films. While 1980 featured some great slashers, 1981 was the golden year with such films as Friday the 13th Part II, Halloween II, The Burning, My Bloody Valentine and The Prowler and ever the slightly lesser known Final Exam. Slasher films remained popular through the 80s, but 1980 and 81 were their peak and by the time 1982 rolled around there were still many excellent slasher films, but again things were getting a bit stale. 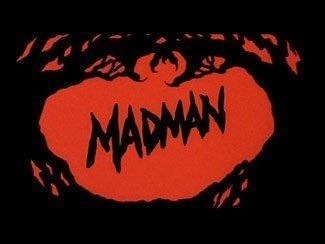 Madman doesn’t really do anything to dispel that notion and has become a cult favorite and hasn’t totally faded away. 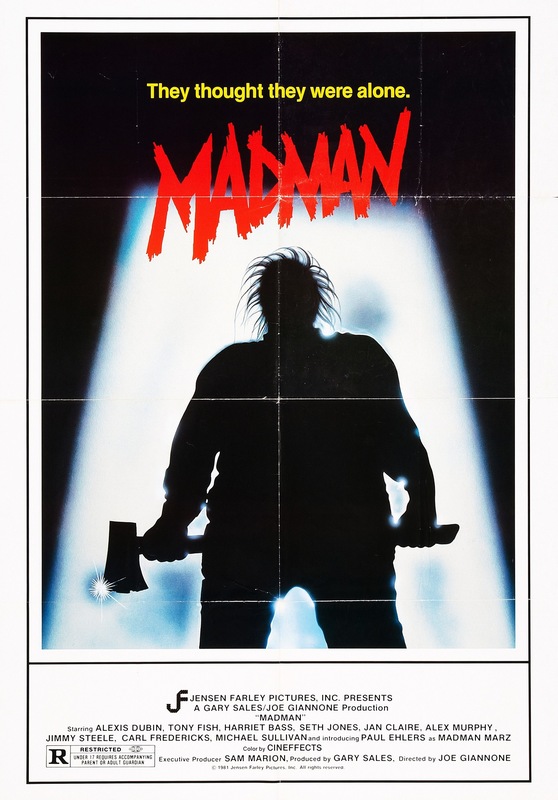 Madman came out at a time when things were getting a but stale, but had enough life left and while this won’t go down as one of the all time greats its a solid enough film and makes for a fun time. Some have called Madman a knock off of Friday the 13th Part II and The Burning ad even those two films share a few things in common, but both were shooting at the same time. Madman like the two mentioned deals with a local legend and there is even a campfire scene where the story of the main villain is told. 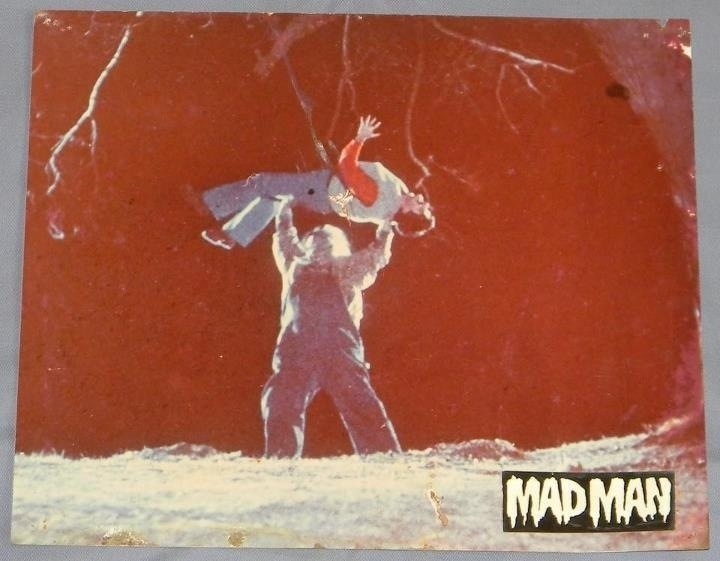 However Madman was in pre-production when Friday the 13th Part 2 and the Burning were filming. When it comes to slasher films there is a very simple formula and many of the films share a plot that’s a lot a like and while sometimes its one film ripping off another, but a lot of times its a coincidence. Madman while a cult favorite I also think is better than some of the reviews out there. Madman isn’t nearly as scary as Halloween and doesn’t have the gore F/X of the films Tom Savini was involved in, but it does feature some decent gore scenes with an interesting visual look. Set the weekend before Thanksgiving at a camp for kids and teens. During a campfire story about local legend Madman Marz (Ehlers) one of the teens calls out the name of Madman Marz who than proceeds to show up and kill everyone he comes across. 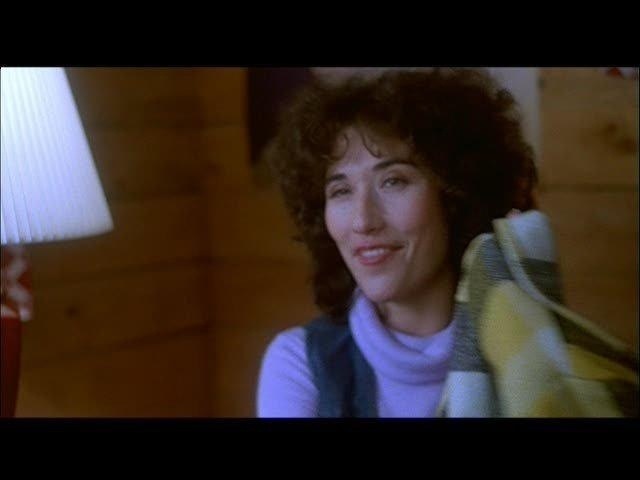 The screenplay by Joe Giannone is pretty much your standard slasher of the time; characters lack depth and are mostly inter-changeable and while they aren’t the most interesting bunch their decent enough I suppose. You won’t get overly attached to any of the characters, but some have their moments. Like most slasher films this really isn’t built on plot, but I did like the idea. The plot does have some resemblance to Friday the 13th Part 2 and the Burning, but the script here might be a little weaker. Slasher films aren’t really known for strong writing and the script doesn’t hurt the film at all. There are some decent ideas presented and overall in regards to slasher movie screenplays this is pretty much by the book and that isn’t such a bad thing. Besides writing Joe Giannone also directs and seeing as this was a very low budget film results aren’t so bad. No it isn’t Halloween or anything, but its competently made. The pace of the film is fairly well done with a couple of sluggish moments here and there, but Giannone does get good use of his locations and with an interesting visual look he actually manages to build a fairly eerie tone, which helps keeps things running smoothly even in the slower paced scenes. There is some decent suspense at times and while Madman isn’t an elite slasher it is however a fun ride. There is a really out of place love scene that sort of puts a damper on the pace, but overall pacing is mostly good with a couple of sluggish moments. 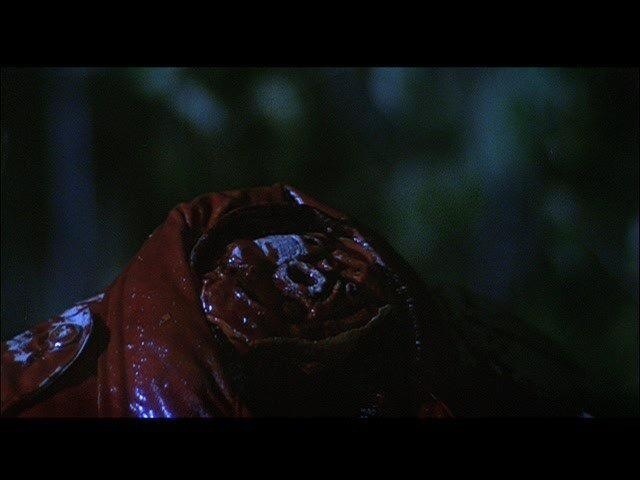 The deaths scenes are fairly decent with a little bit of gore. The highlight decapitation by hood of a car. 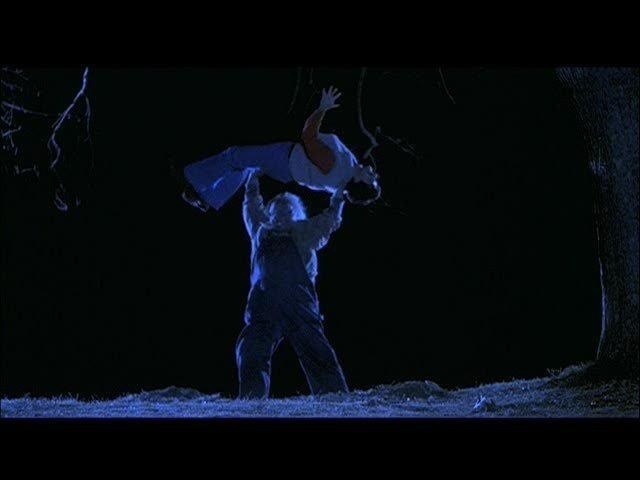 My favorite scene comes towards the end when one girl running from Madman Marz decides of all places to hide inside of a refrigerator! How Madman wasn’t aware she was in there was beyond me, but its not everyday you see something like that. Overall Madman is a solid slasher effort and while it doesn’t reach the greatness of other slasher films of the era its still an entertaining film with some decent suspense and a cool villain. Just sit back and take the film for what it is and you might have a fun time with it. There is also a nice twist at the end with the final girl, which helps elevate the film a bit. Madman is just a fun film nothing less, nothing more.